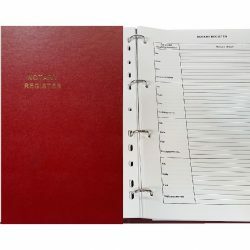 Supplied in a high quality four ring binder with matching slipcase it contains a 50 page register and A-Z divider set. Additional sheets can be purchased separately. £25 plus £9 carriage plus vat.